IG: @AfricanFoods: Would You Eat This Specially Customized Cake That Has Got The Internet Buzzing? 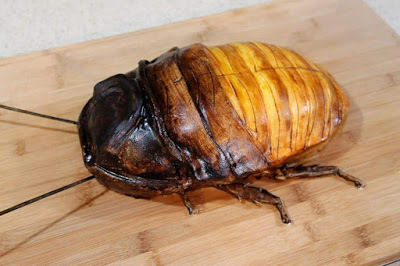 Would You Eat This Specially Customized Cake That Has Got The Internet Buzzing? This is really scary. 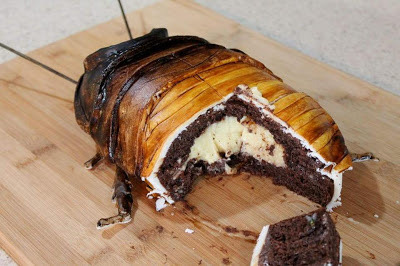 This hissing cockroach cake with creme filling -has become a subject of a heated online debate. Some are saying that they wouldn’t even touch the cake let alone eating it while others are arguing that they will down the cake without hesitation. The main question now is would you eat this cake?